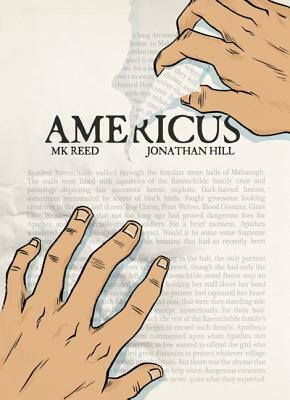 MK Reed is the writer of Americus, The Cute Girl Network, Palefire, and the Eisner-nominated Science Comics: Dinosaurs. She writes and draws About a Bull, a web-comic adaptation of Irish mythology. MK lives in Portland, Oregon, with her very tall husband. Jonathan Hill is an Ignatz-nominated cartoonist who lives in Portland, Oregon, with his wife and cat. He was the artist on Americus and has had work in books from Fantagraphics, Dark Horse, and Roar. He also teaches comics in the illustration department of the Pacific Northwest College of Art.